C’est chic! I’m seeing black cabinets everywhere I turn this year and the most inspiration I find the more I love them. They are everywhere from Anine Bing’s Soho store to the AmericasMart the other week in Atlanta. 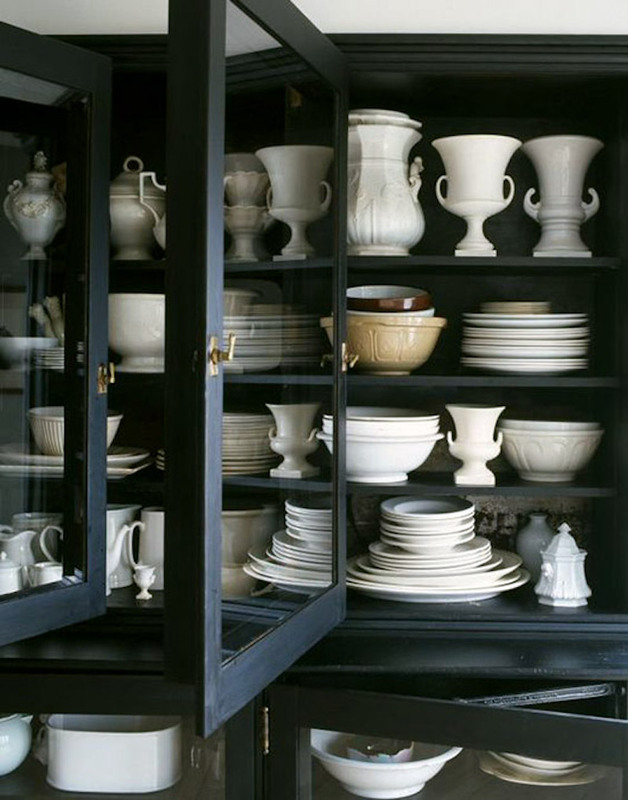 And even better in my book when they are filled with collected ceramics. This type of piece has made its way onto my wishlist for our home. There’s a pretty big wall in our open dining room that I think this kind of piece would be perfect for. I also love how versatile the style is so it can move around throughout the years from a kitchen to a dining room to an office or closet.